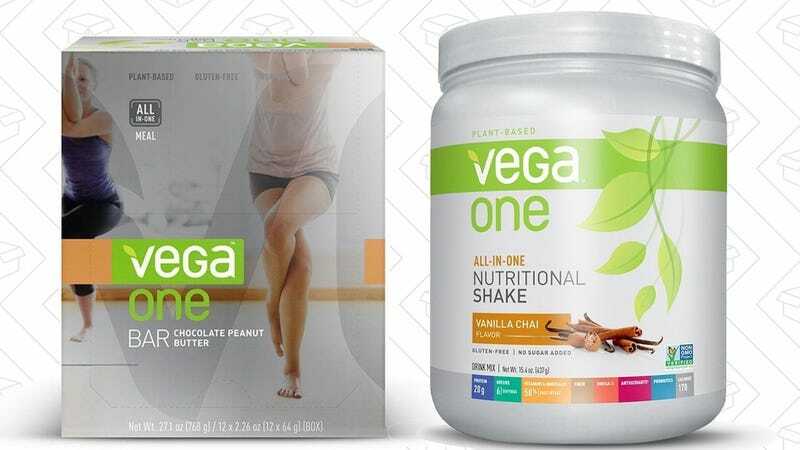 Continuing a string of deals that can help with your new year’s resolutions, Amazon’s offering a Gold Box deal today on a variety of Vega’s excellent plant-based protein powder and bars. A quick spot check shows prices running about 30-40% less than you’d pay at GNC, so this is a great chance to stock your cabinets on the cheap. Just remember that like all Gold Box deals, these prices are only available today, or until sold out.